OHMIC: What a great event it's been once again! Thanks to all those who attended and see you next year! The event will begin with an introduction to GPS and geocaching. GPS units will be available for those who don't have one and would like to find out more about this fun and addictive family friendly activity. Several new caches will be unveiled and made available for finding throughout the Oak Hammock Marsh Wildlife Managed area for this event. 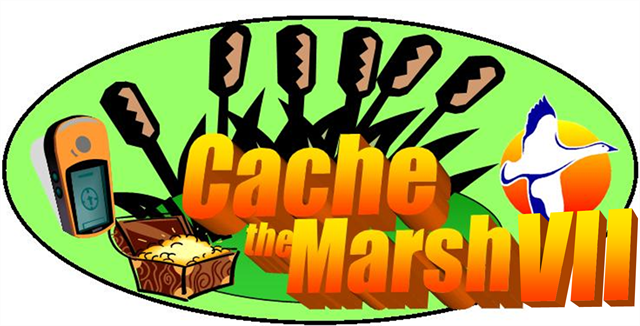 Introduction to GPS and Geocaching: 10:30 a.m.
Geocache Challenge: 1:00 - 4:00 p.m.
BBQ supper and prizes: 5:00 p.m.
Soups, salads and sandwiches are available in our café overlooking the marsh at lunch time and picnic tables will be available for those who prefer to bring their own lunch. Burgers and hot dogs will be available for purchase during the BBQ supper ($1 hot dogs / $2 burgers). Feel free to bring your favourite side dish to share (salads, desserts, munchies). Some caches may require the use of hipwaders or canoes. Knowledge of a wetland ecosystem and its inhabitants will be very valuable! Admission to the Oak Hammock Marsh Interpretive Centre is not required to participate in the Cache Challenge but is strongly recommended as some valuable resources can be found within its educational exhibits and library. Feel free to bring any resource material pertaining to birds, wildlife, insects, micro and macro invertebrates, plants, wildflowers, algea, trees, wetlands, astronomy, soil types, rocks and minerals, and the environment in general. Hipwaders, D-nets, Ekman dredge, plankton nets, radio-telemetry equipment and canoes will be available. Admission fee will be needed to participate in the Introduction to GPS and Geocaching workshop. The use of a GPS is included. The Oak Hammock Marsh Wildlife Managed Area is over 36 km2 with more than 30 kilometers of hiking trails. Bring some water and snacks as some caches will be located a fair distance from the nearest parking lot and motorized vehicles are not allowed on the trails. The marsh offers great wildlife viewing opportunities, especially during this time of the year. Make sure to bring your binoculars!